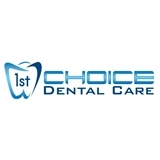 1st Choice Dental Care (Kennesaw) - Book Appointment Online! Here at 1st Choice Dental Care, we get to know our neighbors and help them achieve beautiful, healthy smiles. Our team of experienced doctors and support staff are dedicated to promoting the best oral health practices with a tried-and-true mix of excellent facilities and friendly service. Drs. Kelly Vaughn, Emil Orza, Dr. Alex McRee, Dr. Stephanie Fransoso, Dr. Melanie Nadler, and Dr. Azadeh Paziraei work together to create a relaxed, efficient dental care environment for patients of all ages and needs. We offer implants and sedation dentistry as well as preventive, cosmetic, and emergency care. We look forward to seeing you at your next appointment and discussing how we can create gorgeous smiles for you and your family. Very well run office. Courtney and Emily were great and the doctor answered all of my questions and wasn't rushed at all.